NIST acknowledged receipt of RFC in writing on March 19, 2007, via its Acting Chief of Management and Organization Division, Stephen Willett. Dr. Judy Wood, widely acknowledged as the leading proponent of the theory that Directed Energy Weapons (DEW) were used to destroy the World Trade Center (WTC) complex, has filed a Request for Correction under the Data Quality Act with the National Institute of Standards and Technology (NIST), located in Gaithersburg, MD. Dr. Wood is represented in this effort by Attorney Jerry Leaphart who states that NIST now has 60 days to respond to the RFC. After that, an appeal can be taken and other legal action can then follow. Leaphart further states that Dr. Wood knows that the implications of her theory that DEW were used to destroy the WTC complex shatter certain key beliefs that Americans as a whole cherish and hold dear. Her theory has generated a lot of interest and commentary within the 9/11 Truth Movement that relies primarily upon the Internet as its media source. Mainstream print and broadcast media do not cover the 9/11 Truth Movement, but may need to take heed of this administrative action filed by Dr. Wood, according to Attorney Leaphart. Leaphart said that to his knowledge, only three RFCs concerning NIST's WTC report have been filed to date. One by Dr. Morgan Reynolds, another by Edward F. Haas and the one filed by Dr. Wood. All three are currently pending. The 43 page RFC filed by Wood asserts that the basic integrity of NCSTAR 1 is lacking because, by its own admission, it did not investigate the actual destruction of the World Trade Center Towers. Thus, to this day, Americans have not been given any explanation whatsoever for the destruction of the WTC complex that comports with information and quality standards. In contrast, Dr. Wood's RFC contains a stunning array of visual evidence confirming highly unusual energy effects seen by all as the twin towers were almost instantaneously destroyed in less time than it would take a billiard ball to hit the ground if dropped from the height of the twin towers. That fact is assessed on the basis of the two other laws of physics in Wood's RFC, thus confirming its scientific rigor. Wood also points to other compelling evidence that NIST ignored. Wood's RFC shows visual evidence of unusual and unexplained blast effects on vehicles parked blocks away from the complex. Wood also demonstrates unexplained visual damage in the form of perpendicular gouges in WTC 3, and WTC 4,5,6 and the near disappearance of WTC 3, all of which remain unexplained by NIST to this day. Wood goes further and points out that the incredible amount of dust resulting from the visible process of steel disintegrating before our very eyes all point to the use of directed energy weapons. One other element of Wood's proof is the almost complete lack of even a rubble pile at the WTC complex. Wood asks: Where did it go? Added to all of that is the fact that whatever the energy and heat source was, it had no effect upon paper that was seen floating everywhere and not burning very much, if at all. Dr. Wood's RFC demonstrates all of the above mentioned effects in its 43 pages of text and pictorial proof. 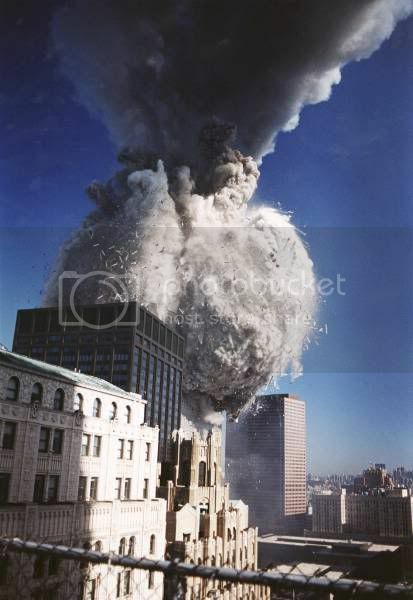 The combined effects of gravity, jet fuel (a form of kerosene) and plane damage could not possibly have caused the massive destruction that occurred on September 11, 2001, in New York City, according to Dr. Wood. The wonder of it all is that more engineers and scientists have not come forward to challenge the woeful, scientific inadequacies of the official explanation. Dr. Wood invites her peers and colleagues to set aside their emotional attachments and to view the evidence objectively. Then and only then can America come to grips with what happened on 9/11/01, according to Dr. Wood.